This thread deals with getting the DLPIO8-G Cable working with EvoScan. You must have version 2.9.0023 for it work. I will share what worked for me logging my 2002 Airtrek. Click Logging on the file menu and ensure DLPIO8 is selected as the USB device and Disable MultiThreading is checked. 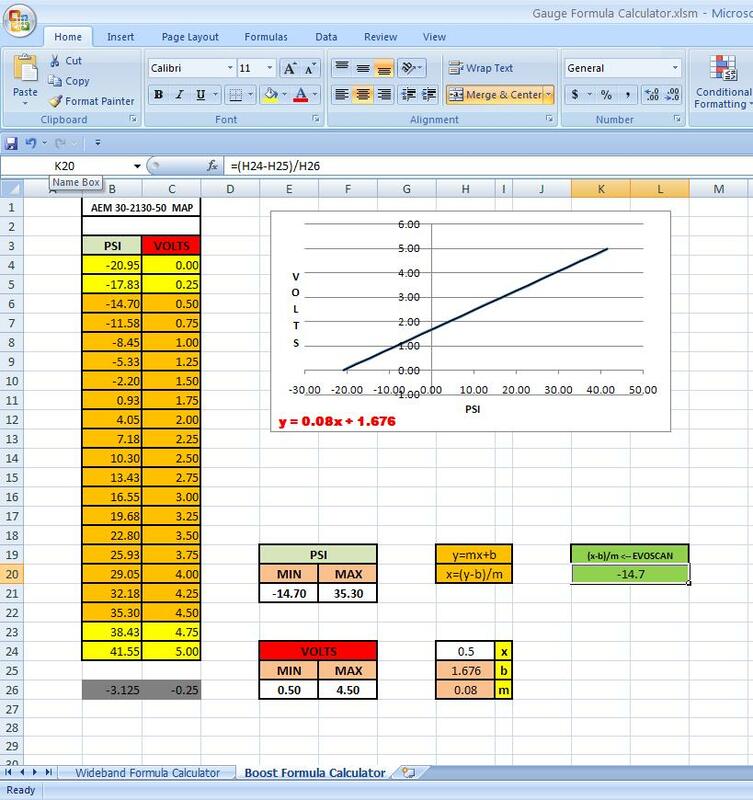 Trying to use formulas on the DLPIO8 data items do not work but there is a work around. Create a new data item and ensure that it is placed after the actual DLP data item. Next use a Request of 00. The normal x function will not be used as we do not want to pull any values from the ECU. Now we can implement a formula using the [DLP1Analog] as our new function. 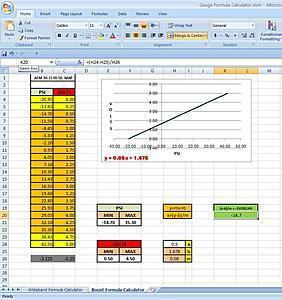 Also, I've made an Excel Workbook to assist working out formulas based on the linear nature of most map and wideband sensors. 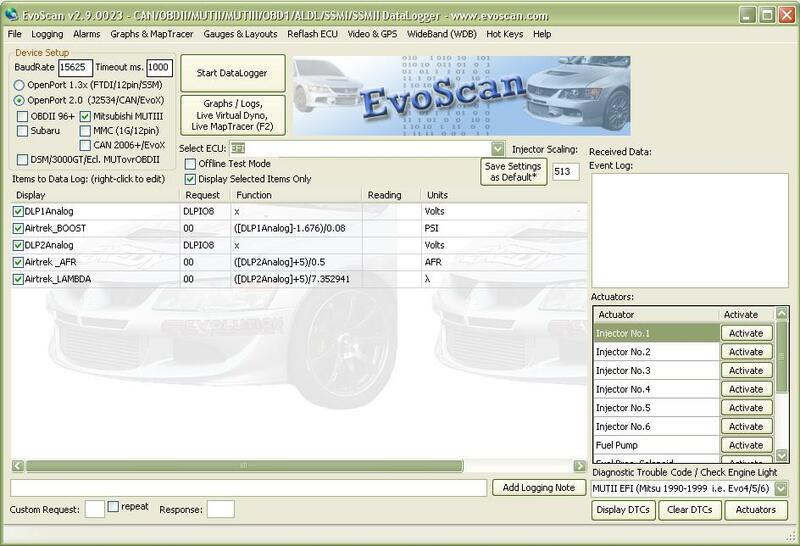 Now you can select regular ECU inputs and add more DLP Inputs using this method. RequestID="CALC" not working for EvoScan v2.9.0023? 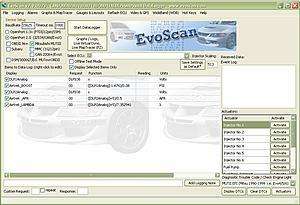 EvoScan v2.9.0023 "load calculated" ! !